Certainly revolutionary was the futuristic styling. A fibreglass “fastback” tail section hid the rear fender and blended into the seat, which was covered in orange vinyl and included “ears” that extended forward around the rear of the fibreglass gas tank. The bodywork was finished in a metalflake gel coat with Norton Villiers roundels in the gas tank and tailpiece (though a special first batch of Commandos were also painted in what Norton called “fireflake silver.”) The engine was also canted forward, a first for a full-size Norton model. 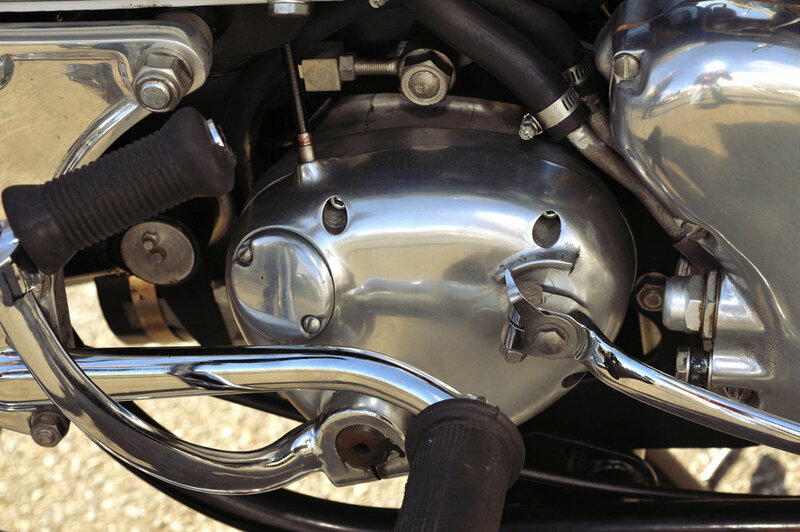 The overall effect: this was a thoroughly modern, speed-focused motorcycle. But was it?